Stylishly realized despite its unsophisticated storyline, “jOBS” has been shot by Russell Carpenter with brightly lit images that accentuate the eponymous innovator’s constant motivation. That achievement is complemented by Kutcher’s committed performance, certainly his most impressive turn in years, which conveys the character’s focused, manipulative intentions in each calculated look. But Matt Whiteley’s by-the-numbers screenplay, which tracks Jobs from his slacker days as a college dropout to the launching of Apple computers in his parents garage and eventual transformation into billionaire CEO, can’t keep pace. Shifting through bullet points of moments from Jobs’ life, the story maintains the subtleties of a made-for-TV movie and relates an origin tale with a superficiality one could obtain through a cursory browsing of Jobs’ Wikipedia page. 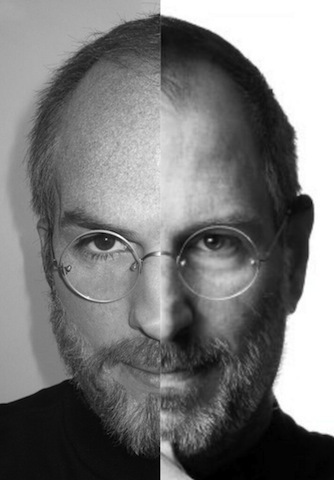 JOBS will hit theatres on April 19th. Who’s excited to see this?